Provide comfort for the family of Sidney Mitchell with a meaningful gesture of sympathy. A native of Marrero, La., a resident of Stone Mountain, GA Sidney Bernard Mitchell, Sr. passed away on January 4, 2019. He was formerly employed by Bollinger Shipping and worked part-time for Gulf Coast Motors. He leaves to cherish his memories, his loving wife, Vanessa S. Mitchell; children, Lischelle (Nathaniel) Mitchell-Jasmine, Tasha Mitchell; Sidney (Avis) Mitchell, Jr.; Kevin Madison, Marilyn Egana, Tarell Stevenson, Calvin (Misty) Stevenson, Theo, Yashua, Lena, and Vanessa Stevenson. Three brothers, Phillip (Queene) Mitchell, Sr.; Eric Mitchell, Sr., and Gilbert (Mary) Mitchell; 2 sisters, Leslie (Girod) Jackson; Laura (Belfred) Pryer, Sr.; mother-in-law; Pearl Stevenson; sisters-in-law, Brenda Robinson, Linda (Kirk) LeSassier, Marian (Calvin) Wheeler; Chinia (Bradford) Stewart, and Rozalyn Longpre; 2 brothers-in-law; Marcelino Stevenson and Paul (Onna) Longpre. Funeral service will be held Saturday, January 19, 2019 at 11:00, viewing from 9-11 at New Jerusalem Baptist Church, East 6th Street, Edgard, La. ; Pastor K. Maurice Tillman, officiating. Final arrangements entrusted to Treasure of Life Funeral Services, 315 E Airline Hwy., Gramercy, La. "When someone you love becomes a memory, that memory becomes a TREASURE!" 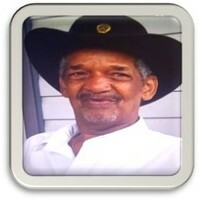 To send flowers in memory of Sidney Bernard Mitchell, please visit our Heartfelt Sympathies Store.